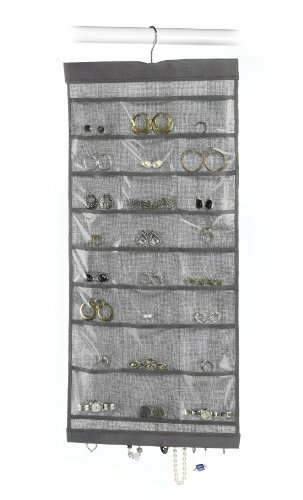 An innovative and stylish jewelry holder, this product will help you store your items of jewelry in a more efficient and space saving way! It has been manufactured out of rich mahogany wood and premium synthetic leather; this way, it will be more durable through time! The product is available in multiple colors, such as: mysterious black, dark brown, immaculate white, a newer black version and a brown version. 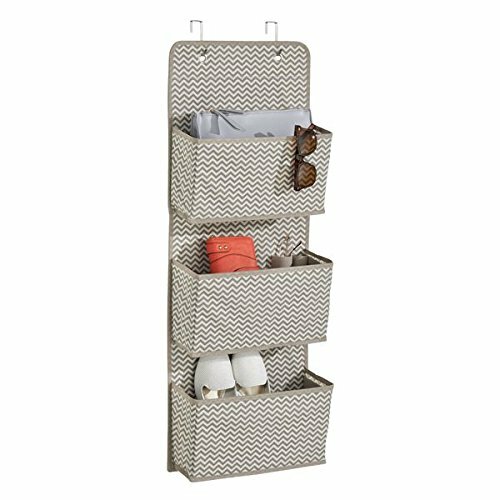 It is very stylish and elegant and you will be able to hang it everywhere around the house! It is ideal that you mount it on the wall or against a door. The hanger has got a magnet under its tray that will ensure a more facile and comfortable separation and fixing when you put it up. 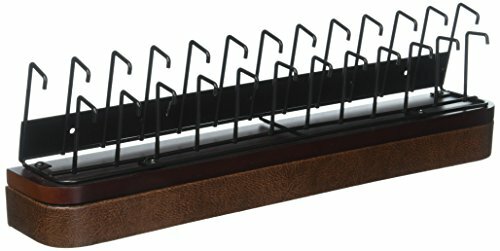 The tray is perfect for your make up products, nail polish, perfumes and other large items of your jewelry, as it is spacious enough! 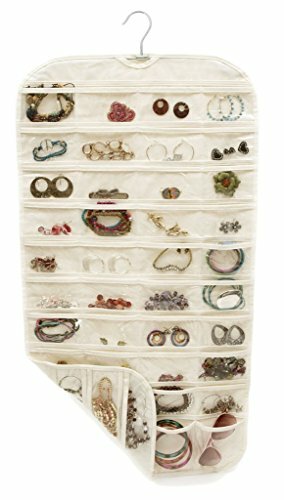 There are no less than 25 hooks etched on this hanger so you will be able to store your entire collection of earrings on it! 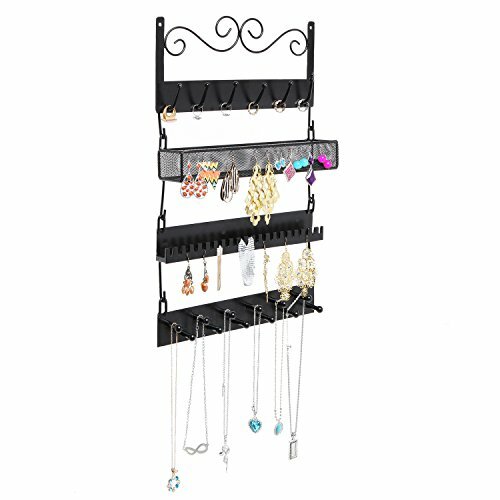 You can also easily hang your rings, bracelets and smaller necklaces upon it! 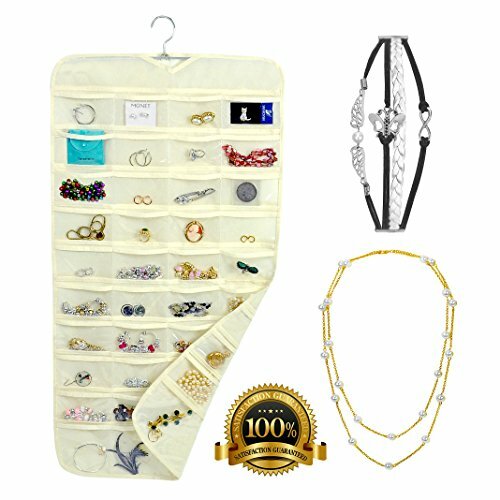 This product is perfect for someone who wants to store as many items of their jewelry collection while still saving a lot of space and effort at the same time! Purchase this product and you will surely not regret it! 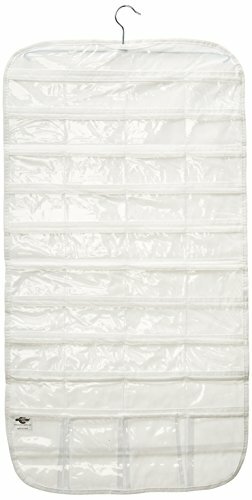 The dimensions of this product are the following: 4.88″ H X 16.38 ” W X 2.93″ D and its weight is 1.9 ounces.